101 Circuits for Scalextric Drivers was an original publication from Scalextric and is a great resource for new Scalextric track plans. 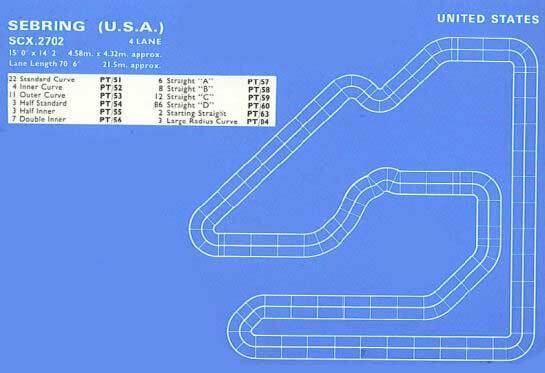 Most of the track plans are basic generic layouts although they have included Scalextric track plans for thirteen different historic race tracks. Each of these historic race tracks include some history and details of the circuit which is very interesting. Since 1950 Sebring has been the home of the Sebring 12 hour Grand Prix of Endurance which is considered to be one of the most important “World Championship” Sports Car Races. It is run during the third week in March. The circuit is 5.2 miles in length and includes 2.5 miles of paved highway and 2.5 miles of concrete airport runways. It is not an easy course as seven right or left angle turns and one hairpin turn have to be negotiated. Sebring is located about 5 miles South East of Sebring in Central Florida 160 miles north of Miami, 130 miles from Palm Beach and Cape Kennedy and 100 miles from either Tamp or Orlando. Other historic tracks include Silverstone, Monte Carlo, Snetterton, Mallory Park, Rouen, Spa, Zandvoort, Oulton Park, Karlskoga, Thruxton, Monza and Brands Hatch. With so many different Scalextric track plans choosing one may be a bit difficult. That is one perk of using plastic track though, you can run one historic track layout this week and another next! 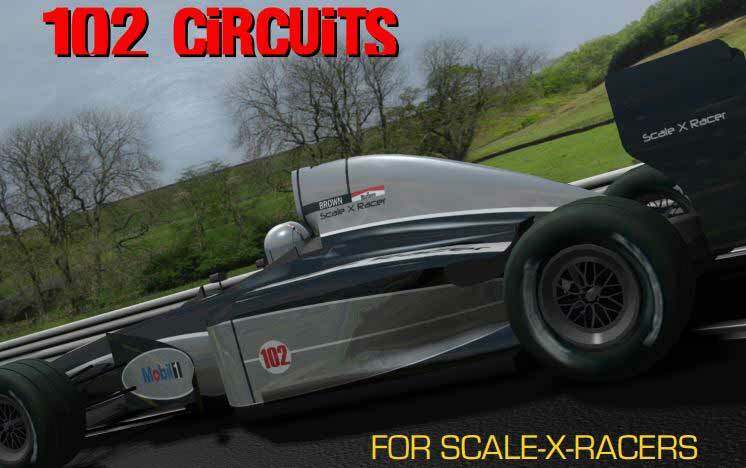 If you find yourself needing some additional track pieces for all of these track plans be sure to check out our Scalextric Track listing. A hefty 50 MB but well worth the download!